Seniors are always looking for the best food they can buy for the healthiest diet. Nutrition is important to us because we are more aware than younger generations of the importance of diet in our aging lives. As a result, SCJ editors recently looked into the best food for senior diets and came up with a list you may want to print out for your next grocery store trip. 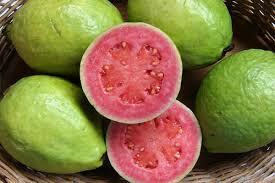 Guava: This is a fruit grown on bushes and small trees in tropical climates. It is less common in other areas, but with a little scouting around, you can find it in the produce section of grocery stores. Watermelon: Well known, and much-loved fruit available year round, but best in late summer. Kale: Dark leafy-green veggie that makes a great salad or can be steamed such as any greens are prepared. Spinach: Another dark green vegetable that can be eaten in a salad or steamed for a hot veggie dish. Collard greens: A staple in the south, collards are generally steamed or boiled in water (we prefer steaming because more nutrition is available when not boiled. Most dishes call for adding salt, pepper, peppers, onions, garlic and sometimes a dash of hot sauce. Soy Beans: Protein is available in most beans, and especially in soy beans. They are available canned, dried, pre-packaged as a snack, both in stores and online. Soy protein is a great alternative to eating meat and poultry for those who try to get close to a vegetarian diet. Pinto Beans are almost as good as soy beans for protein. They are generally available either dried or canned, and are used in many soups as well as just eaten by themselves. Chick Peas: Another ‘bean’ that is also high in protein, eaten as a snack or added to salads or added to soups. Another suggestion here: Do an online search for recipes using these foods, and come up with some new dishes you and your spouse/partner might enjoy!